Why I March for Science. 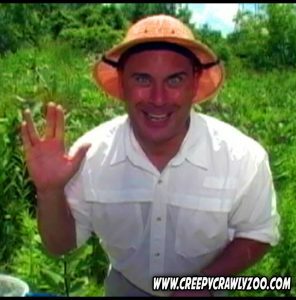 As an entomologist and traveling educator/entertainer, I am not a career scientist. My life’s mission has been to create them! I can’t even say that I am concerned about insects either in any way, other than their value as a tool to excite and inspire. However, in that regard, they are THE greatest tool I know of for just that reason. Entomology is a gateway science! Insects are everywhere and affect everything. Just about any science you can think of can be connected to insects, including astronomy. Children are absolutely fascinated by them and they are as accessible as the outdoors. Just by introducing them to something that accessible, it inspires their curiosity to be pursued on their own terms. Curiosity inspires questions. Question seekers honed by the scientific method = scientists. I have always been inspired by the stories of the great questions that scientists have pursued and answered. How many stories are there of a child on the bottom step of social hierarchies, who because of an act of kindness were given an opportunity to be educated? Children who went on to pay their debts by using the power of science and their minds, making discoveries that elevated the whole of humankind. Great discoveries that started with a great question. Great questions that started as a simple curiosity. As a species, we stand on the shoulders of the generations that have come before us. My personal philosophy has always been that if I can leave this life knowing the next generation can reach a little higher because of what I do, then it was a life well spent. The last 20 years of my life were occupied traveling the country with the Creepy Crawly Zoo in a pursuit that has been anything but financially lucrative. “Why”, you ask? Well, I did it for science… and I did it for me. No matter how many times I’ve been down over the years, all the letters and emails from both students and parents alike have made me stand up again. Made me realize that I have to keep on keeping on. There’s inspiring that needs doing! Science needs me! – Ha! I have stood before over a million faces over the last two decades. Every time I do my shtick, I make them laugh, I make them scream and I see the excitement on their faces. Every time I wonder, which one of them is going to be the next Faraday, Fraunhofer, Fleming, Curie or Lamarr? Which one of them will go on to ask the next great question that will lift all of humanity because of what I do here today in my sphere of influence on a fraction of a fraction of a fraction….of a fraction of a pale blue dot? I March because of how much science has enriched my life with an understanding of what life really is. I look at the sun and I see back in time 8 minutes. I feel its rays on my face and I know these photons landing on my skin started in the center of the sun 100,000 years ago; a sun that hovers in the arm of a large spiral galaxy. A galaxy filled with another 200 billion suns that formed around a black hole in a universe of another 100 billion galaxies that began nearly 14 billion years ago! I look at my hands and I know that nearly every atom that makes me who I am, who we all are, was forged in the heart of a dying star. We are the reincarnation of long dead stars. We are the cosmos made conscious. Science has given me this knowledge and understanding and filled me with wonder and awe at my own existence. A wonder and awe based on evidence, reason and grounded in what is real. Like every seeker before me, I just want to know more! I march for science for the questions not yet asked. Science is FULL of questions that have yet to be answered, and in many cases, we don’t even know what the questions are yet. From our ancestor’s first questions like, “how do we not get eaten my saber tooth cats?” to our questions of “how do we travel through interstellar space?” The evolution of our species and the elevation of our minds has been guided by the pursuit of answers to great questions. Science is simply the mechanism by which we find the correct answers to great questions. So is that really such a big deal? The history of humankind says, “yes!” We don’t have to look back far to see how a world with questions that you have yet to answer is a far better world than one with answers you cannot question. There is a reason the latter is known as the “Dark ages.” The pursuit of questions has lead us from the cave to exploring the solar system. It has elevated our understanding of our existence. We went from believing natural disasters were the wrath of angry gods to understanding the forces of nature by which our world is shaped. That is to say, we went from just accepting made up stuff up to explain what we don’t know, to mastering this evolutionary gift of intellect and reason, by way of the scientific method, to solve the very mysteries of the universe! This is no small feat. This is the collective effort of an entire species on a quest to find answers to questions through science. From the moment our ancestors used sounds to communicate a thought or draw on a cave wall to record a story we have been freely sharing ideas with each other. To the best of our knowledge, we are the only species in the 4.5 BILLION year history of our planet to take these steps. Stop a moment to take that in. Since those first moments we, as a species, have not stopped! Because of this, we went from instinctive thoughts of pure survival to the absolute joy of kicking back on our lazy boys with a cold beer in our hands, running water and stored food in our refrigerators, and flipping channels to enjoy mindless entertainment. A well-earned gift to ourselves for using science to answer questions. Ahh. Now suddenly and unexpectedly, ignorance has reared it’s ugly head once again to stop the pursuit of knowledge. We find ourselves at the doorstep of a new Dark Age, the Orange Age. The accumulated knowledge of decades of scientists being erased and stolen from us because it interferes with greed and profit. Dark age remnants threatening to silence the pursuit of truth in order to hang on to power through superstition. Not since Galileo has there been a greater need to stand up for science. For the sake of all of humanity science must stand against the darkness once again. I will march with those who seek knowledge and truth through science. I march for the right to question everything, seek answers and create positive, evidence-based change. I will march for the right to a well funded and unobstructed scientific education for all those faces of nascent Faradays, Flemings, Fraunhofers, Curies and Lamarrs whom I have stood before. I march so they can all reach a little higher.